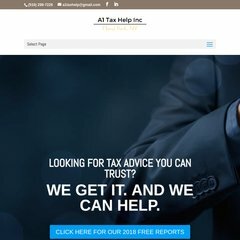 A1taxhelpinc is ranked > 3,000,000 in the United States. It is hosted by American Registry For Internet Numbers (Virginia, Chantilly,) using Microsoft-IIS/6 web server. dns2.name-services.com, dns3.name-services.com, and dns4.name-services.com are some of its 5 Nameservers. The programming language environment is ASP.NET.